Phil has taught preaching for over 10 years at QTC, and been training and mentoring newer preachers for even longer! He has almost 25 years experience leading local churches in both the city and the country. 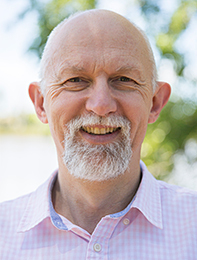 Phil is the Senior Pastor of Mitchelton Presbyterian Church on the north side of Brisbane, a church which has planted multiple congregations across that part of the city. He is the co-author (along with Gary Millar) of Saving Eutychus, which is, according the authors, probably the best book on preaching to have come out of North Brisbane this century!